In the latest example of Azerbaijan’s crackdown on independent media, Khalid Garayev was detained by police on Oct 30, 2014. 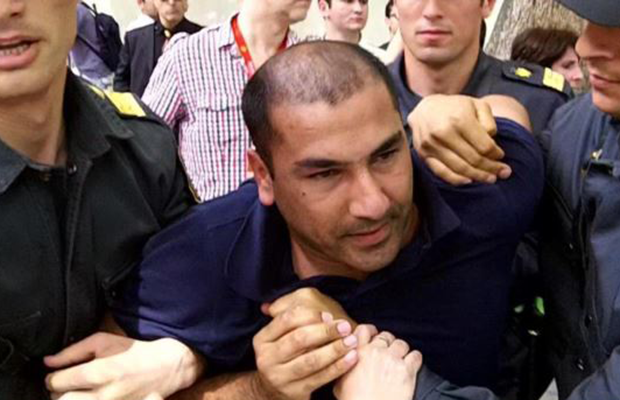 On 30 October a Baku court sentenced opposition journalist Khalid Garayev to 25 days in detention on trumped-up charges of hooliganism and disobeying the police, dealing a new blow to Azerbaijan’s independent media at a time when its civil society is being subjected to an unprecedented crackdown. A reporter for the leading opposition daily Azadliq, which was named the 2014 Index on Censorship Freedom of Expression Journalism award winner, and producer of “Azerbaycan Saati,” a TV programme linked to the newspaper that is broadcast by satellite from abroad, Garayev was sentenced just a day after his arrest. Appearing in court on 30 October, one of the two prosecution witnesses was a person who is apparently systematically used by the police in similar cases. The court rejected the defence’s request to view surveillance camera footage.